Why Are Abortions Being Offered to Women Illegally? 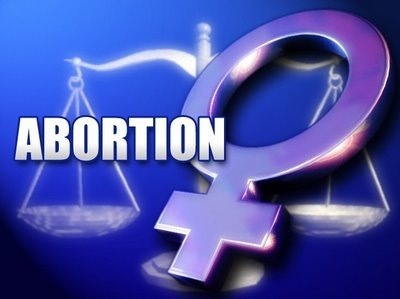 You are here: Home / Abortion / Why Are Abortions Being Offered to Women Illegally? I wish to draw your attention to an article that appeared in the NZ Herald on 27 October 2017. The article features a Mrs Harriet Jackson who was offered an abortion at the Christchurch Public Hospital in 2017. Following a scan at the Christchurch Maternal Foetal Unit which revealed that her daughter Babette at 22 weeks gestation had a severe form of Spina Bifida. She was offered an immediate abortion that day without having to tell her husband and without a second scan or time for reflection. It appears that she was not offered counselling. This very sad event raises several important questions. It is contended that it is both unethical and unlawful for clinicians or certifying consultants to offer an abortion to a woman who has not requested an abortion. There is nothing in the Crimes Act or the Contraception Sterilisation and Abortion Act that provides legal authority to doctors to offer an abortion to a woman or girl who has not requested an abortion. Mrs Jackson had a right to expect that the clinicians were committed to providing professional care for both her and her baby. This trust was breached when it was made clear to her that they believed that her baby’s life should be violently terminated that day. The decision of the clinicians smacks of social engineering and eugenics. It is noted that Mrs Jackson was offered an abortion on the grounds of foetal disability. After 20 weeks it is unlawful to perform an abortion on the grounds of foetal disability. Mrs Jackson was strongly committed to respecting the right to life of her child and was commendably adamant in resisting the pressure imposed on her by clinicians to terminate the life of her precious child. There are other women who when placed in this situation might have succumbed to the coercion and agreed to an abortion in the belief that doctors know best. I believe that it is intolerable that women should be subjected to such unlawful and distressing treatment. what action will your Committee take to ensure that doctors are aware of the unlawfulness of such an offer? What action will your Committee take to advise doctors that it is unlawful to terminate the life of a child after 20 weeks gestation on the grounds of disability? To assist you, here is the link to the NZ Herald article.